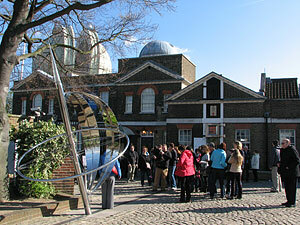 The Greenwich Meridian separates east from west in the same way that the Equator separates north from south. Inextricably linked with Greenwich Mean Time, it also sits at the centre of our system of time zones. 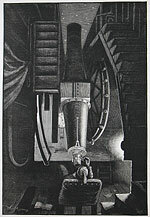 Its path is determined by the location of an historic telescope, the Airy Transit Circle, which is housed at the Royal Observatory, Greenwich. Such is the Meridian's fame that each year, hundreds of thousands of visitors from all around the world make their way to the Observatory to stand astride the Line. But its position is marked in hundreds of other places too. On its path from pole to pole, the Meridian passes through England, France, Spain, Algeria, Mali, Burkina Faso, Togo, Ghana and Antarctica. Over time, some markings will disappear, while others will be restored or renewed. On this website, you will find details of those places where the Meridian is known to have been marked, together with sequences of pictures that have 'frozen' them in time.